Grim. 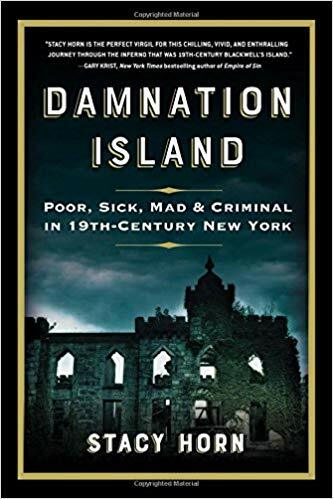 I will never look at the East River and Roosevelt Island in the same way again, thanks to reading Stacy Horn’s book titled, Damnation Island: Poor, Sick, Mad, and Criminal in 19th-Century New York. It was a grim time for lots of people on the island when they were living in prisons, an insane asylum, hospitals and an almshouse. This is a bleak tale of horrific conditions for the most vulnerable members of our community. While the subtitle makes it seem as if there is an old story, conditions remained horrific through the second half of the 20th century. Rating: Four-star (I like it) Click here to purchase Damnation Island from amazon.com.